There was a very good level of entries and the quality was extremely high. 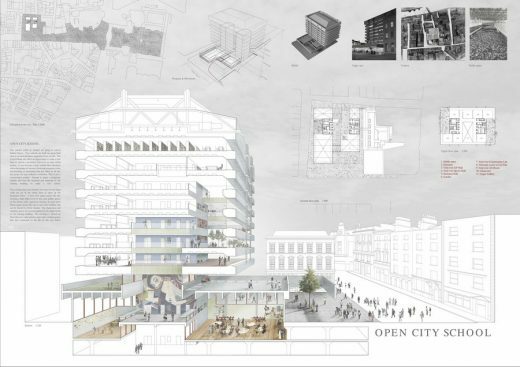 DoCoMoMo Ireland presents Central Bank in the 21st Century: an open design competition to develop ideas for what the building might become. The architectural ideas competition seeks to generate discussion among designers and decision-makers about the future of the Central Bank building. The competition is open to all and offers a prize fund of €1500. The competition opens on 1st December 2012 – registration is via www.docomomo.ie. Submission of entries is 1st March 2013. The assessors are drawn from strategic planning, architecture, culture, architectural history and current affairs backgrounds. This design contest is endorsed by the Irish professional body for architects (R.I.A.I). It is a conceptual architectural competition.